Usenet newsgroups are Internet discussion groups on just about any topic you can imagine. There are more than 50,000 newsgroups, and more are added all the time. The first way students and scientists using ARPANet (early version of the Internet) started sharing their interests and hobbies was to create newsgroups. In newsgroups students and scientists placed information about their interets and as the number of newsgroups began to expand, the Internet administrators grouped all newsgroups together to form a category known as Usenet. To start with Usnet and the newsgroups within were just text based communities and it took the creation of HTTP (hypertext transport protocol – changed the way computers transmit and recieve information) to change this. 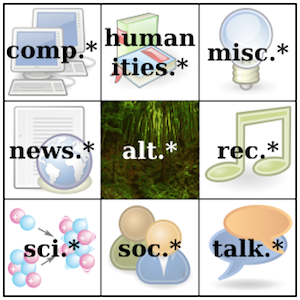 Usenet.com state that there are currently over 80,000 discussion categories (known as newsgroups) available on Usenet. Usenet is, by nature, a text-based system, however binary files such as movies, pictures, music files, and programs can also be shared among Usenet surfers, making it an excellent file exchange medium.